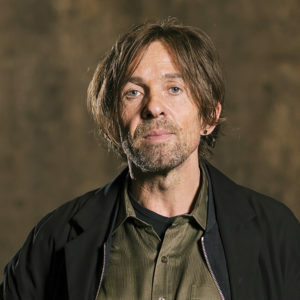 Since 1994 Robert Buchschwenter has worked as a freelance lecturer in film, media and cultural science, and as a cultural journalist for print, radio and TV media. He has initiated numerous workshops on script writing and short films, as well as curated film series and retrospectives. Since attending a one-year script consultant course (Masterschool Berlin, Drehbuchforum Wien, Focal Zürich) he has worked as an independent script consultant on projects such as THERAPY FOR A VAMPIRE, THE FATHERLESS, and MA FOLIE and authored STILLE RESERVEN. Robert co-authored the in-production/development projects: KAVIAR, BLOODJAM, HINTERLAND, HUMMUS MIT SCHLAG among others. Robert gives lectures on film analysis and theory at Salzburg University, the University of Vienna, Filmcollege Vienna, and FH Vienna. He is also a guest lecturer at Zurich University and visiting professor at the Academy of Fine Arts Nuremberg. In 2004/2005 he was a member of the programme committee and jury of the Austrian film festival DIAGONALE 04 and became managing director of DIAGONALE in 2015. Since December 2005 he has been programme curator of the TV series OKTOSKOP ON OKTO. From 2009 to 2013 Robert participated in the programme selection team for the animation film festival FANTOCHE (CH).